Although there are rules and regulations for nonprofit organizations in California, 501(c) organizations are, by definition, federally regulated by the IRS. Nonprofits must first register with the state of California before applying for exempt status with the IRS. There are a number of obligations that a nonprofit must meet before it is granted 501(c) status. Before filing any documents with the government, you must first establish the mission and purpose of your nonprofit, as well as form a board of directors. The mission of the nonprofit should reflect its charitable purpose; it will also guide all the organization's activities. Next, form a board of directors to manage and guide the direction of the nonprofit. The state of California only requires the board to have one member, but ideally you will have three or more members. Once the nonprofit is formed, the board should draft bylaws that address such matters as how new members may be added or removed from the board, the number of members needed to vote on a particular topic, and other rules for management. Once you select a name for the nonprofit, you must check with the California Secretary of State to ensure that the name is available. To do so, complete the "Name Availability Inquiry Letter" available on the Name Availability page of the California Secretary of State website. If your selected name is available, you can reserve the name until you file you other paperwork by filling out the "Name Registration Form." To register your nonprofit in the state of California, you must file the articles of incorporation with the secretary of state. On the form, you must indicate whether your organization is a religious corporation, a public benefit corporation that will pursue 501(c)(3) filing, or a mutual benefit corporation that will file for 501(c)(4) status. 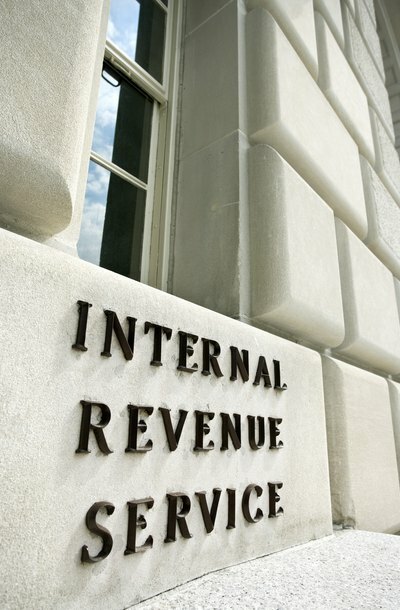 To comply with IRS regulations, the articles of incorporation must include provisions stating that the nonprofit is organized for an exempt purpose, the nonprofit will not engage in political activities or propaganda, profits will not be distributed to members beyond reasonable compensation, and that if the nonprofit is dissolved it will distribute its assets to another nonprofit organization or government agency. When the California Secretary of State approves your filed articles of incorporation, your organization becomes a legal entity. The final step to formalize your nonprofit is to file with the IRS. First, the nonprofit must have an Employment Identification Number (EIN), which is a unique number that identifies the organization on all IRS documents. You can fill out an EIN application on the IRS website. After you acquire the EIN, fill out Form 1023 or 1024 in application, depending on which 501(c) classification is appropriate for the organization. The application requires detailed information about the nonprofit's activities, budget, fundraising, and board members. Once you submit the form to the IRS, it may take several weeks to several months for the IRS to make a determination. To avoid the annual $800 minimum California franchise tax, the nonprofit must apply for tax-exempt status before the franchise tax board. Until the determination is made, the nonprofit is liable for the tax and must file a yearly return until the nonprofit is formally dissolved. Further, once a nonprofit has exempt status from the IRS, the organization must file an annual 990 Form with updated information on the nonprofit's activities and finances. Charities provide important services to their communities, but many charities eventually cease to operate. For example, a nonprofit may complete its mission, or it might run out of funding or community support. However, dissolving a charitable nonprofit that is registered with the state is not as simple as closing the doors. A nonprofit must follow proper dissolution procedures according to state law, or it might incur fines or other penalties. For an organization to be exempt from New York state taxes, it must incorporate as a nonprofit corporation by filing nonprofit articles of incorporation with the New York Department of State under the state Not-for-Profit Corporation Law. There are a number of steps all nonprofit organization should take to operate as a functioning organization in New York. If the organization plans to eventually file for federal 501(c)(3) nonprofit status, there are additional provisions that you must include in the articles of incorporation. Dissolving a Massachusetts nonprofit corporation requires filing a petition with the court. If the nonprofit operated as a tax-exempt charity, the organization must notify the Attorney General's office before filing the petition. A non-exempt, nonprofit corporation is not subject to this requirement. As long as a majority of the nonprofit's members vote to dissolve the corporation, the petition for dissolution can be filed with the court.